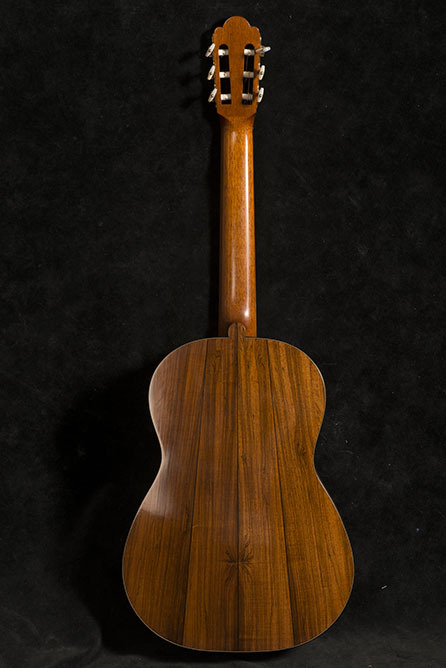 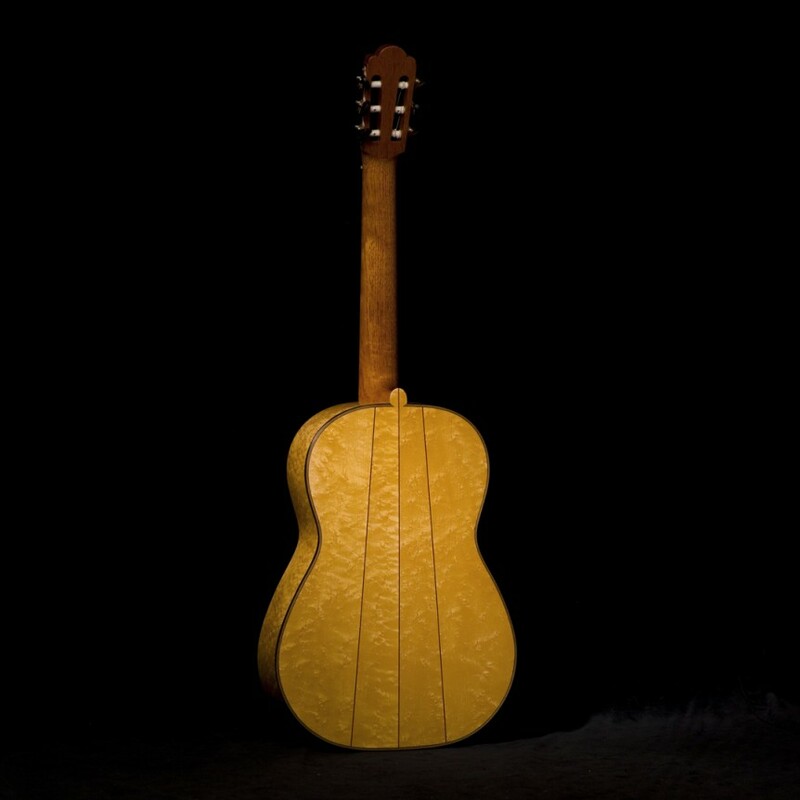 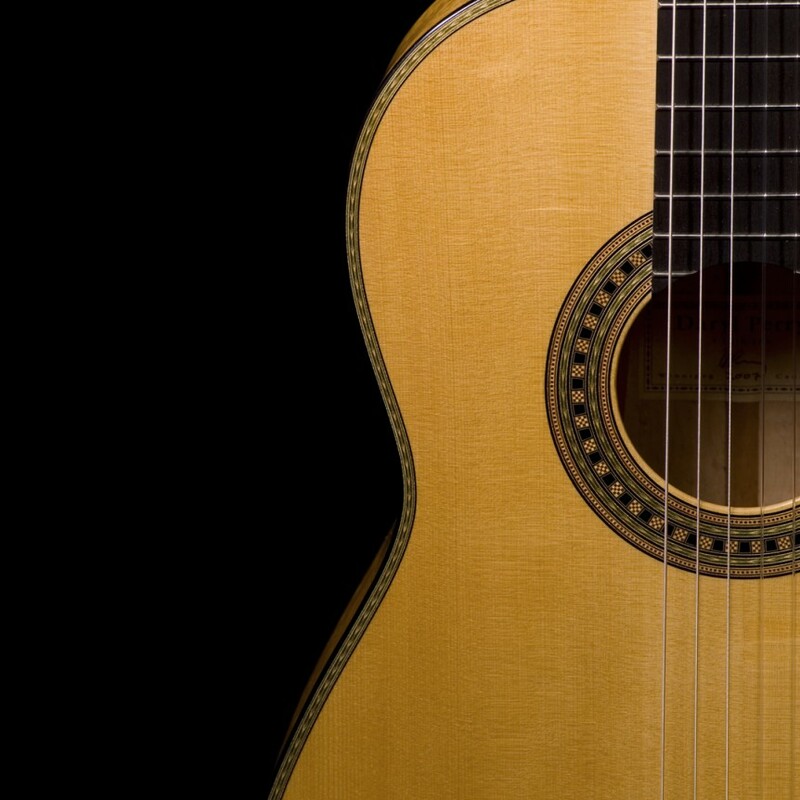 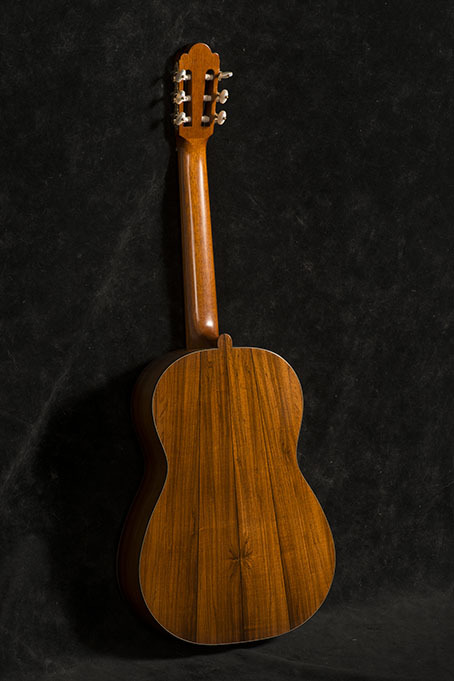 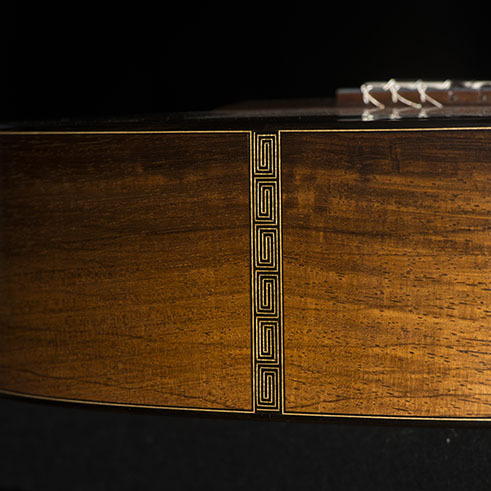 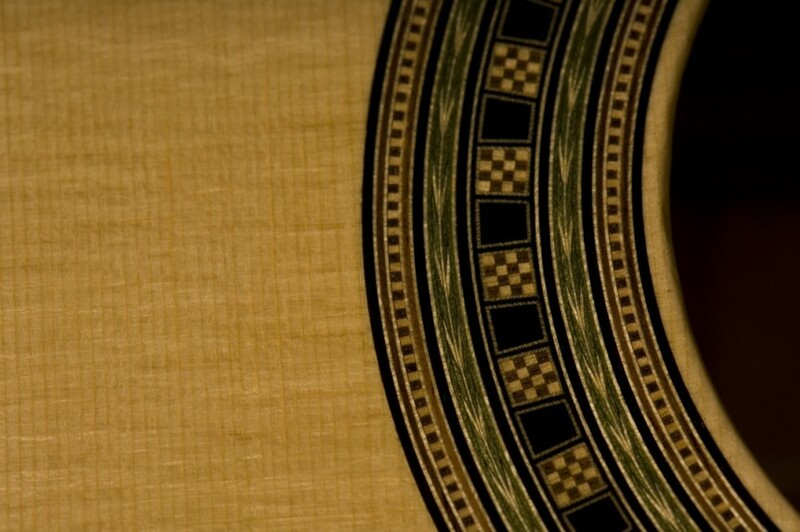 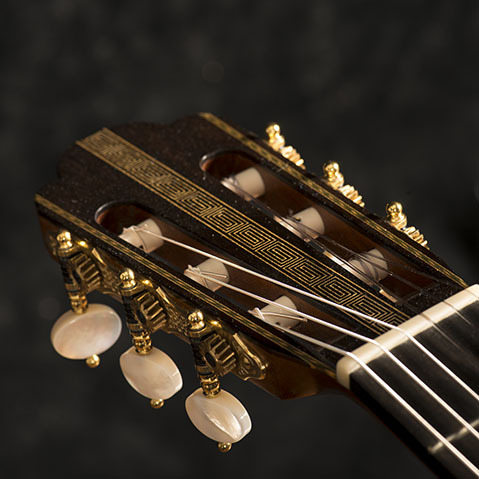 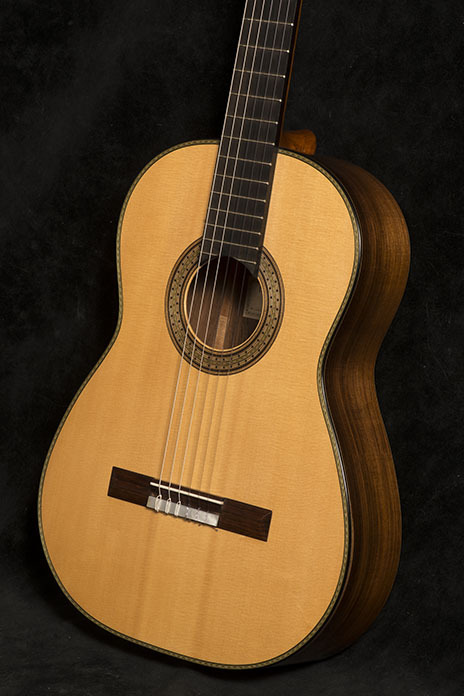 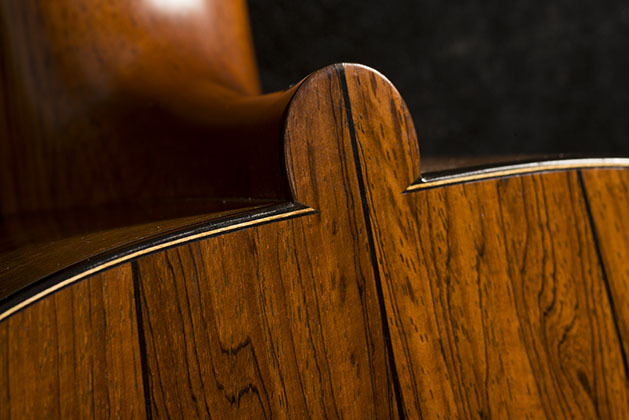 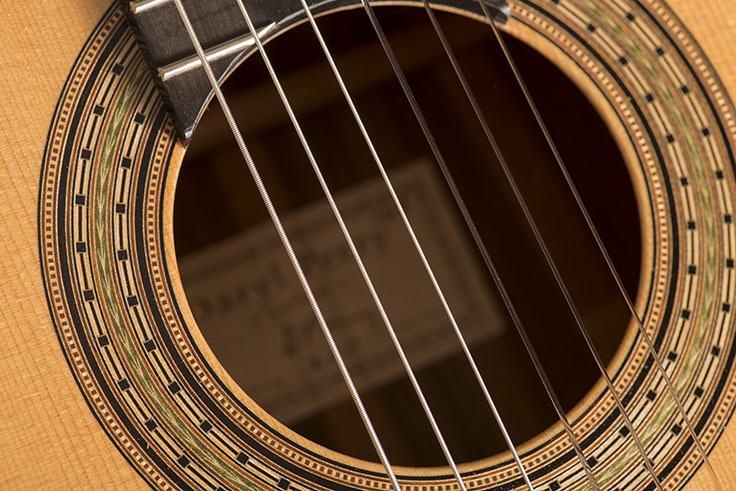 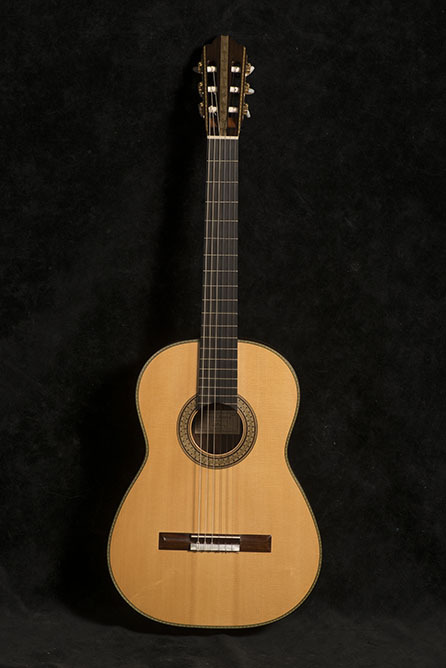 Torres used Brazilian rosewood and maple for the backs and sides of his finest instruments in approximately equal numbers. 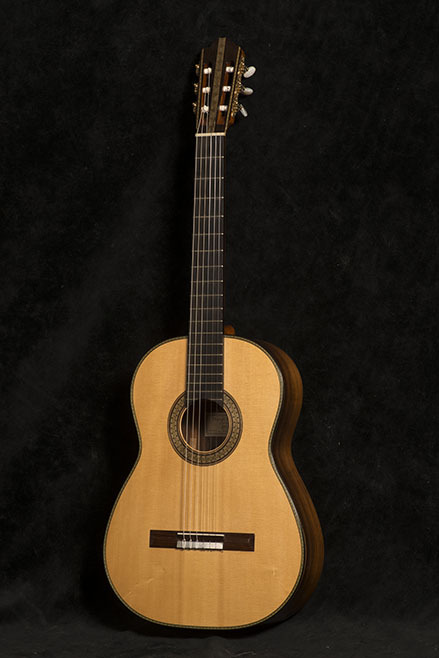 I offer this model in these materials as well as Spanish cypress or Indian rosewood. 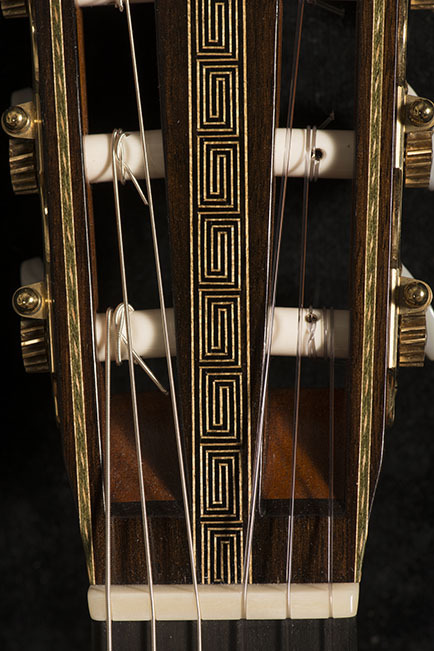 This example makes relatively extensive use of the decorative motifs that Torres favoured throughout his career – meander, wheat-ear, and chequer board. 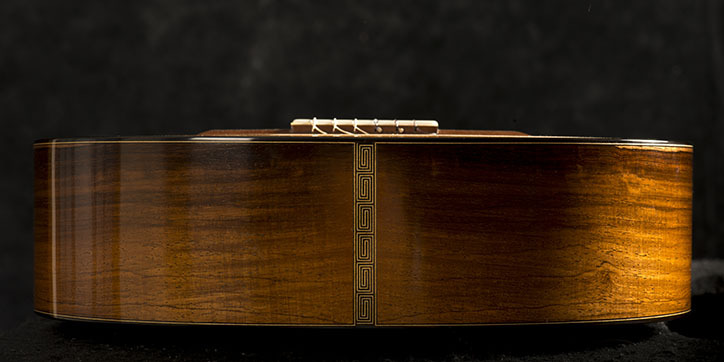 I offer this model with either lower or higher degrees of decoration which are priced accordingly.